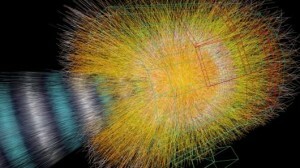 LHC is giving out some amazing results. 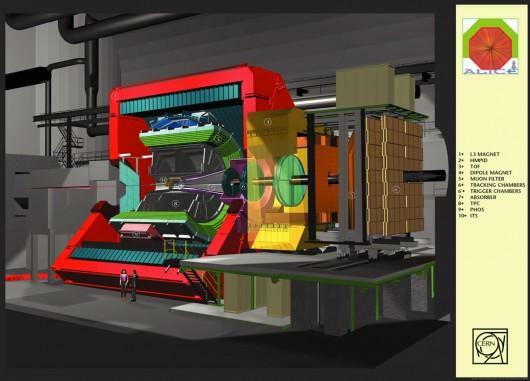 We had reported earlier how physicists from the ALICE detector team have been colliding lead nuclei together at CERN’s Large Hadron Collider (LHC). Some results were out today that showed that the quark-gluon plasma created at these energies does not form gas as thought of before but instead the finding suggested that the very early universe behaved like a hot liquid. The ALICE (A Large Ion Collider Experiment) experiment is where researchers collide lead nuclei to generate incredibly dense sub-atomic fireballs which are similar to mini Big Bangs at temperatures of over ten million degrees. Many researchers had long expected the quark-gluon plasma to behave like a gas at higher energies. Researchers also found that more sub-atomic particles are produced in teh collision than what theoretical models suggested. The ALICE Collaboration comprises around 1,000 physicists and engineers from around 100 institutes in 30 countries. ALICE will record huge amounts of data during the collision at the rate of 1.2 gigabytes (GB) which is about two CDs every second and will write over two petabytes (two million GB) of data to disk.